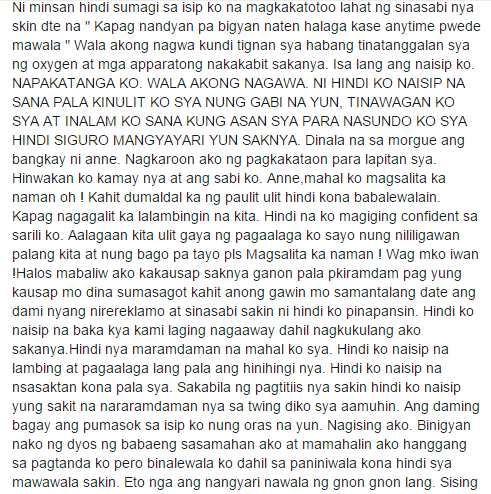 An Open letter from a Guy to his Ex-girlfriend Will Surely Break Your Heart! There is one letter from a guy that is giving a very heartbreaking story now on social media. It’s all about his confession and regret with the relationship that he had with Anne his girlfriend who passed away after their breakup. He said their love story is like a great love story of any couple at first. They’re both filled with love and happiness, not until they reached their third year of the relationship. He became too confident that his girl will never leave his side even he tries to cheat multiple times, and the feeling that he became often annoyed with her. He hates her drama and started to stop showing his affection to her. He let everything dry with them. 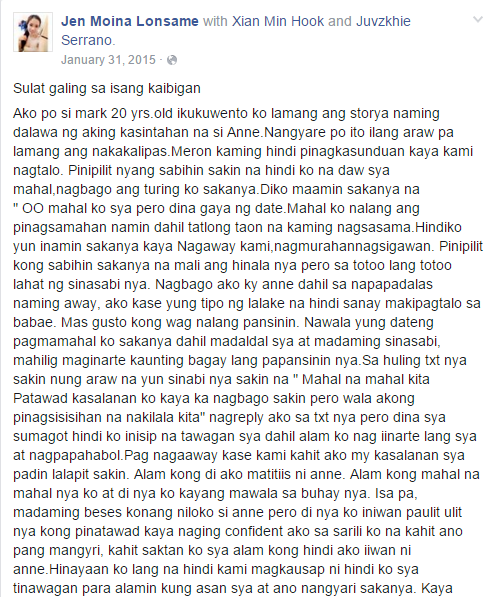 But when Anne finally decided to end their relationship, the incident happened. 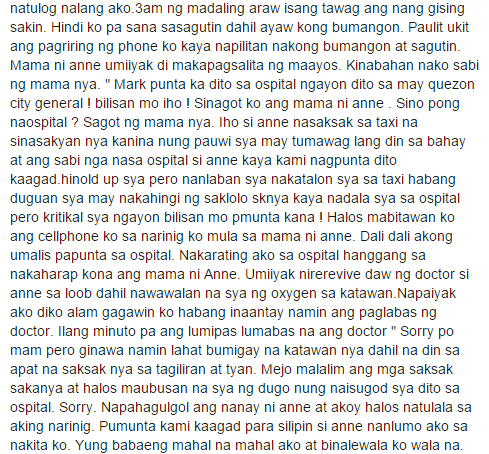 Anne met an accident. 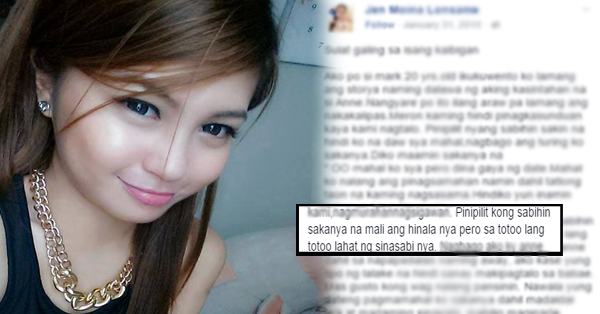 She died after having four serious stabbed of knife from a guy who wants to rob her bag when she was heading home. Now, Anne has gone. He realized how important and meaningful this girl in his life. He wrote this open letter to give a lesson to everyone, to always show your love, more care and value to your partner before it’s too late. naranasan ko na yan yung mamatay yung mahal ko.sa harapan ko mismo..napaka sakit..